The gap between the 2-year and 10-year Treasury notes fell to its lowest level in over a decade. The 41 basis point difference on Tuesday was the narrowest difference since September 2007, just before the Great Recession. The yield curve, a plot of Treasury note yields against their maturity dates, usually slopes upward, but when people expect the Fed to raise interest rates quickly and/or expect slower economic growth, the yield curve will flatten. A flattening yield curve often worries investors because if the curve flattens to the point that it inverts, it is often a strong predictor of a recession – of the nine U.S. recessions since 1955, all of them were preceded by inverted yield curves in the previous six to 24 months. Netflix (NFLX) smashed earnings and subscription expectations, adding 7.4 million more subscribers and bringing in $290 million in net income in Q1 of 2018. Wall Street had expected 6.6 million additional subscribers, and the company reported a 42% year-over-year growth in streaming revenue. Even for a tech company, Netflix has seen astounding growth; it’s $290 million in net income in Q1 was more profit than the company had in all of 2016. Netflix’s stock finished up 5.1% for the week, and has risen over 70% year-to-date while the S&P 500 is down 0.1% over the same time period. President Trump attacked OPEC on Twitter for allegedly artificially inflating the price of oil. Trump tweeted on Friday that high oil prices are “No good and will not be accepted!” The price of oil hit a three-year high a couple weeks back, and while the price of WTI and Brent crude dipped after the President’s tweet, they quickly regained footing above $68 and $74, respectively. In the wake of a global oil glut, OPEC and Russia agreed to significant production cuts to raise the price of oil, but even with that glut mostly gone, the two appear determined to keep the cuts in place. Wells Fargo (WFC) was fined $1 billion by the Consumer Financial Protection Bureau (CFPB) for abuses in their auto loan and mortgage departments. The fine stems from Wells Fargo’s practice of charging customers for unnecessary auto insurance and for bogus mortgage fees, and is the highest fine ever imposed by the CFPB. Lenders are allowed to require borrowers to have insurance on their cars, and in the event that a customer does not have insurance, the lender can add a “force-placed” insurance fee to the cost of a loan. However, Wells Fargo charged hundreds of thousands of borrowers for the insurance even though they already had independent insurance policies. The bank also charged borrowers unnecessary fees that went against its own policies for mortgage rate locks. Shares of Procter & Gamble (PG) sank 4% on Thursday in spite of beating earnings expectations. While net sales rose faster than the analyst consensus and EPS was 2 cents better than expected, organic sales fell 1%, prompting concerns about long-term growth. This was in part due to falling revenue from Gillette, P&G’s shaving business, and the stock sank almost 6% for the week. Bank of America also downgraded the stock from “buy” to “neutral,” and cut its price target from $90 to $82. US benchmarks eked out positive weekly gains. The Dow Jones Industrial Average (DJIA) finished up 0.4% for the week, the Nasdaq Composite (COMP) closed up 0.6%, and the S&P 500 (SPX) finished up 0.5%. European indices fared mildly better than their US counterparts. 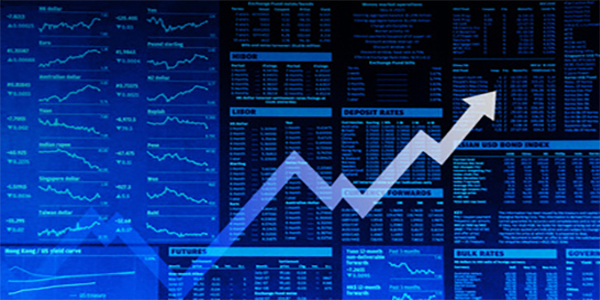 The UK’s FTSE 100 Index (FTSE) finished up 1.4%, and the German DAX Index (DAX) closed up 0.8%. Asian markets had a more mixed week. Japan’s Nikkei 225 finished up 1.8%. India’s BSE Sensex finished up 0.7% and Hong Kong’s Hang Seng closed down 1.4%. Don’t expect earnings to buoy markets next week any more than they did this week. While investors had expected earnings season to help bring back the roaring post-2009 bull market, the results over the past week have been less than stellar. Since the April 13th, when a number of large banks reported Q1 earnings before market open, the S&P 500 has been almost flat, falling 0.2% in just over a week. In spite of earnings beats across the market, investors remain skeptical of the top line, which is why the shares of companies like P&G and Goldman Sachs fell even after earnings beats. A Wall Street Journal analysis found that of the 85 companies in the S&P 500 that have reported Q1 earnings, 69 beat earnings estimates, but over half of those 69 saw their shares fall after reporting earnings. 170 companies on the S&P 500 will report Q1 earnings over the course of the upcoming week, but expectations are already down for some of the biggest names, particularly in tech. Expectations aren’t high for Google’s parent company Alphabet (GOOGL) which missed EPS expectations in Q4 of 2017 due to the high cost of revenue-sharing payments and margin pressure; its stock has fallen over 10% from its peak in January. Nor are they high for Facebook; CEO Mark Zuckerberg has insisted that the recent Cambridge Analytica scandal has not affected earnings, but Wednesday will be the first time investors get to actually see the numbers for themselves, and an advertiser revolt could send shares of the company reeling. Apple investors are already bracing for poor iPhone sales numbers after Apple’s semiconductor supplier Taiwan Semiconductor (TSM) significantly missed earnings expectations, in part due to weakness in the high-end smartphone market. Even if the other 167 companies do better than expected, macroeconomic factors are starting to turn against markets. The flattening yield curve is only one of these factors. Even while central banks remain skeptical of the possibility of higher inflation, rising inflation expectations are helping push up U.S. Treasury note yields. Evidence of actual inflation is also starting to build; oil prices continue to rise, and business surveys indicate companies are paying more for raw materials and labor. More troublingly, while many parts of the Trump tax bill went into effect in Q1, annualized GDP growth is still expected to be about 2%, which has been the norm since the financial crisis. Part of this is due to a decline in consumption; real disposable incomes rose 0.6% in January, while real consumption declined 0.2%. Data on a number of key economic indicators will be released this week, including the PMI manufacturing index, consumer confidence, and first quarter GDP growth and personal consumption growth. So while this week could be a recipe for soaring markets, it could also send markets reeling. Most likely, however, is a mixed picture, which will cause markets to continue to gyrate the way they have been since February. Investors are getting bullish on oil – which is bad for consumers. Oil prices have almost doubled since their June 2017 lows, and while that may make OPEC and Russia happy, it spells bad news for consumers around the world. Saudi Arabia is rumored to want to push oil prices above $100, which may boost their short-term bottom line but will ultimately hamper long-run economic growth; high oil prices have contributed to five of the past six recessions in the U.S., and as any student of macroeconomics knows, higher oil prices push both inflation and unemployment higher. The rise in oil prices is also reflected further downstream; the Department of Energy expects average gasoline prices to rise 33 cents per gallon by the summer, and global energy analyst Tom Kloza predicts that half of all U.S. states will see gas prices above $3 a gallon in the next few weeks. This means consumers are going to end up paying more at the pump and spending less on other goods. Even if Saudi Arabia and the rest of OPEC recognize this and raise output, geopolitical crises around the Middle East threaten to send oil soaring. Libya’s de facto ruler and military leader General Khalifa Haftar is apparently in poor health, and his death could send the country into further chaos. OPEC’s current output projections are based on a stable Libya, but since Haftar’s army controls much of the country’s oil wells, instability in Libya could spill over into the broader oil market. Even outside of Libya, increased U.S. sanctions on Russia could also help send oil prices higher. The bottom line is that there are a lot of catalysts for higher oil prices, and as a result, investors are looking to energy stocks for higher returns in a relatively flat equities market. Bank of America recently reiterated its buy rating on Exxon Mobil, in part due to expectations of higher oil prices. However, while higher oil prices may be good for Exxon Mobil, they will ultimately be bad for consumers, which is bad news for an economy already flashing warnings signs. The best may be yet to come for Netflix. Not only has the company weathered crises, but it has also continued to innovate in a way that has kept it ahead of the competition. The company originally began as a monthly subscription concept that delivered movie rentals to subscribers via the U.S. Post Office. In 2000, the company was losing money, and Blockbuster offered $50 million to acquire it; Netflix now has a market cap of over $140 billion, while Blockbuster went bankrupt in 2013. Throughout its history, Netflix has managed to stay ahead of the tech curve, and its success emphasizes the importance of not being wedded to a particular business model. While physical DVD delivery was Netflix’s core business model for almost 10 years, after seeing the power of sites like YouTube, Netflix shifted its focus from DVD delivery to streaming as data speeds grew in the mid-2000s. So even as DVD sales plunged in the late 2000s, Netflix managed to continue growing. In fact, its online streaming services grew so quickly that it went from the U.S. Post Office’s fastest growing first-class mail customer to the largest source of web streaming traffic in North America during peak evening hours. As other companies like Hulu got into the movie and TV streaming business, Netflix quickly adapted, shifting much of its focus to original content. In 2016, the company released 126 original films and TV series, more than any other network or cable channel, including shows like Stranger Things that are extremely popular. Netflix even reinvented HR, creating a culture and motivated performance system that keeps its employees happier than those at companies like Google and Facebook. The company has also managed to learn from its mistakes and weather crises. Netflix nearly derailed after its price-hike and Qwikster debacle in 2011, with its stock plunging 77% in just four months. But it quickly adapted and survived, and is now trading at 22x its original IPO price. While significant challenges lie ahead for the company, its biggest successes may be yet to come. Netflix is starting to tap into international markets, with over 70% of its Q1 subscriber growth coming from abroad. Its original content is also starting to gain critical acclaim; its film “Icarus” about the Russian Olympic athlete doping scandal won this year’s Oscar for best documentary, and its productions have won four Golden Globes and 37 Emmy Awards. The company may even be looking to get into the movie theater business, which at the moment is struggling, but it seems that anything Netflix touches turns into gold. If history is any indication, Netflix is headed nowhere but up.